After several years of running a successful beauty supply business, Larry Gaynor, President & CEO of New Hudson, Mich.-based tng worldwide, decided he wanted to get involved in the fight against breast cancer. Gaynor’s business, which distributes and manufactures products within the beauty and hospitality industries, catered mainly to female clientele and many of his hundreds of employees were women as well. Beyond making great business sense, Larry and his wife, Teresa, felt strongly about investing back into the community in a way that could make a difference. That’s when he heard about Making Strides Against Breast Cancer, an event benefiting the American Cancer Society’s work to save lives from breast cancer. 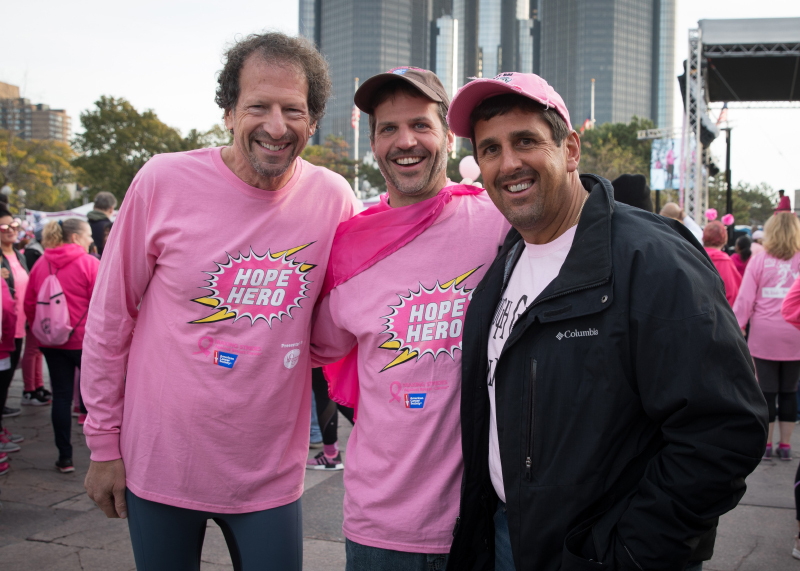 The 5k walk, which started in Detroit in 1998, brought together just over 5,000 people and made a couple hundred thousand dollars each year specifically to fund breast cancer services, advocacy and research. Larry knew that this small, but impactful event could benefit from his partnership and his contribution could mean significant growth for the Making Strides walk. In 2001, tng worldwide became the first-ever Making Strides Detroit sponsor. Since then, the event has grown to bring together more than 25,000 people and raise more than $1 million each year, making it the 4thlargest Making Strides event in the nation. And Larry and the tng worldwide team have been an important part of the growth and success of the event. In fact, the company recently became Making Strides Detroit’s first Legacy sponsor, an honor bestowed on corporations that have sponsored the event for 15 years or more, showing the longevity of their commitment to the cause. For more than 16 years, tng has been a corporate partner of the event and in that time has donated over $2 million. Of that total, more than $1 million has been raised through personal fundraising and contributions of Larry and Teresa, while the other $1 million is raised through employee engagement and payroll deductions. 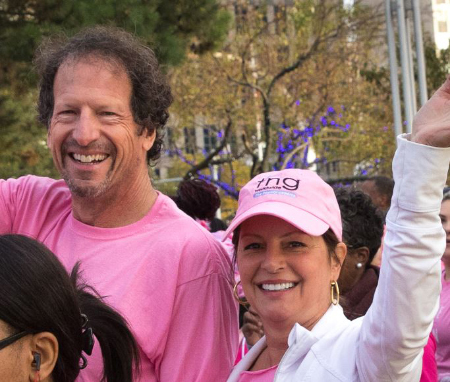 More than 140 tng worldwide employees are active fundraisers for Making Strides Detroit, coming out in force each October to walk at the event with Larry leading the pack as the first person across the start line at the event. Tng worldwide takes its role as a partner seriously, making fundraising a year-round effort. He also incentivizes other Detroit-based fundraisers offering those who reach $2,500 in personal fundraising for Making Strides the opportunity to shop at his stores, which are traditionally only open to licensed beauty professionals. Generosity and giving is woven into the culture of tng worldwide, a Detroit Free Press “Best Workplaces” award-winner since 2008. 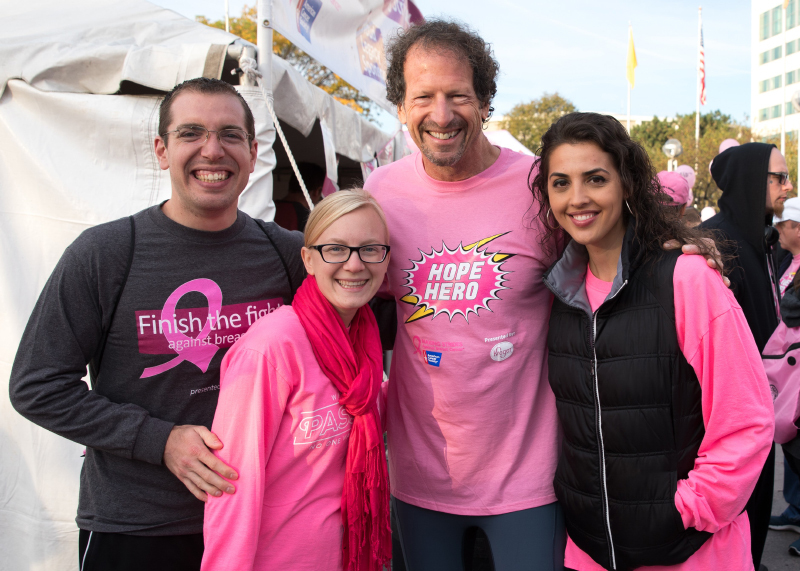 And, while Larry’s interest in supporting the event early on came from a mix of business and personal reasons, today Larry and the tng family have seen their fair share of breast cancer diagnoses within the company, a fact that only makes this cause more personal and important to the entire company. For more information on Making Strides Against Breast Cancer, visit makingstrideswalk.org.